Avoiding court divorce battles by arbitration seems to be the latest buzz way to deal with the legal minefield created by separation within a marriage according to Cheshire divorce solicitors Stonehewer Moss. Reports in national papers last week of a doubling in arbitration cases look impressive but it depends on the base from which the growth develops. Resolution are the national family solicitors organisation and they firmly back this process. The writer trained to collaborate 10 years or so ago and sadly that approach has not gained traction in most places. People often want their day in court and are not discouraged by their solicitors or apparently not by their large bills either. Arbitration may have some advantages over the court process while giving the feel of a neutral decision having been arrived at with help from each sides representatives. Avoiding court divorce battles by arbitration could be a good option for a couple able to acknowledge the need for a resolution to their separation legal issues while realising that an over stretched public court system is not for them. This blog sets out some benefits of the arbitration route, but avoiding the need for a neutral decision at all must always be your first and best option; negotiate if you can. When you separate there are decisions to be made but unlike in marriage, there are two points of view without the impetus to reach a compromise or for one spouse to give way. Should you divorce now and on what basis? Who pays the bills? What arrangements are best for the children. What is to happen to the house? These questions do not resolve themselves. The court is geared up to make decisions but it is staffed by human beings and used by the highest and lowest in society. The option of arbitration has obvious benefits over court if you have ever stood in the queue at any government building and felt your individuality being stripped from you. An arbitrator will be a senior family lawyer that each sides solicitor is confident knows his or her stuff, will meet at a time convenient to you both and treat you with respect. With some cases in court, you may find that you are left feeling like a criminal or a supplicant. Arbitration does have a financial cost that on the face of it a judge in court does not charge but you wait until he or she is ready and each representative may be charging full rate to wait by the hour. The surroundings may be more congenial. Court buildings vary in user friendliness and are very public. Don`t be surprised if, having emptied your pockets to go through security, you are left instructing your solicitor in a corridor with nowhere to sit or privacy. Arbitration is binding as it is governed by the Arbitration Act 1996 and the decision is enforceable in court. There are standard procedural rules that may be managed by the arbitrator in a way that makes sense for the issues and may be more efficient than court. 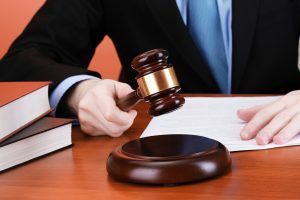 Subject to a discretion to award legal costs if there is an obvious need to punish one side in costs, the usual rule is that you pay your own representatives costs. A fixed fee arrangement with your solicitor and the share of the arbitrators fee might be less expensive than court and the procedure less stressful. The law applied is the same as that applied by a judge in court. Avoiding court divorce battles by arbitration must be worth considering but if your solicitor will not entertain it at the first meeting, use your own discretion and seek the view of another solicitor before you are committed to a battle in court. This article was added on Wednesday, December 13th, 2017 at 11:29 am and is categorised under Cheshire divorce solicitor, Cheshire News, Chester News, Child arrangements, Divorce, divorce finances, Family finances, Hartford divorce, Macclesfield News, northwich solicitors, Runcorn News, St Helens news, Warrington News, Widnes News, Winsford News. Both comments and pings are currently closed. Error: Error validating access token: Session has expired on Saturday, 09-Mar-19 13:12:58 PST. The current time is Thursday, 25-Apr-19 21:49:19 PDT.